23 people have already booked this trip! Free round-trip transportation to and from San Jose International Airport (SJO) is provided on the first and last day of the trip. It takes 1 hour 15 minutes to get to the venue from the airport. Not included: flights to/from San Jose International Airport (SJO) and travel insurance. Guests are responsible for purchasing travel medical insurance and cancellation insurance which are also not included. Cheryl leads retreats, workshops and classes in Canada and abroad. 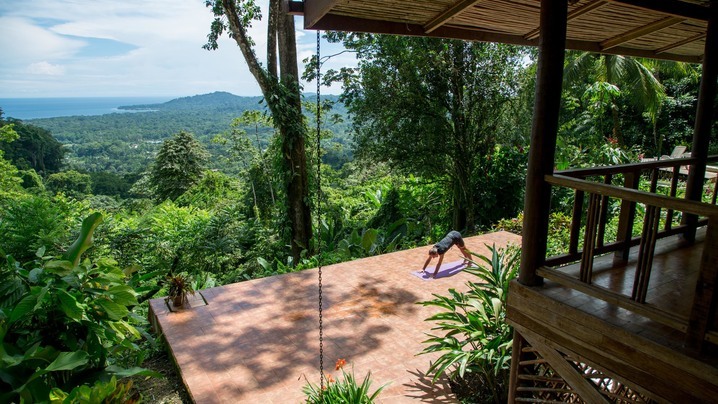 She is enthusiastic about traveling and practicing yoga in places off the beaten path. She has over 1000 hours of teacher training and continues to study ,explore and share this with others. 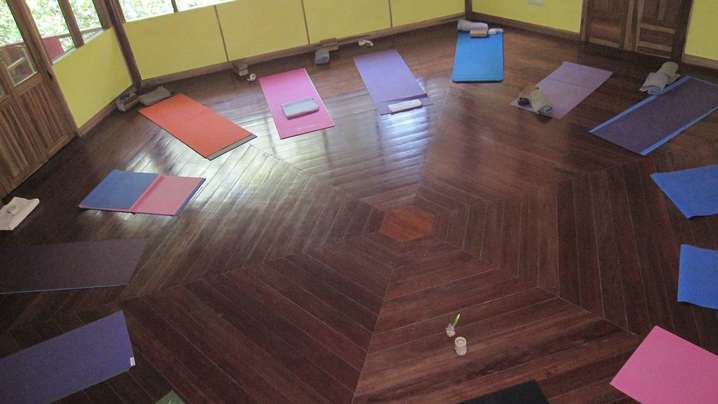 Her studio, Yoga Glow, warmly welcomes all ages, shapes and sizes to the mat to discover their Self in various styles of yoga from gentle/restorative, yin to power flow. 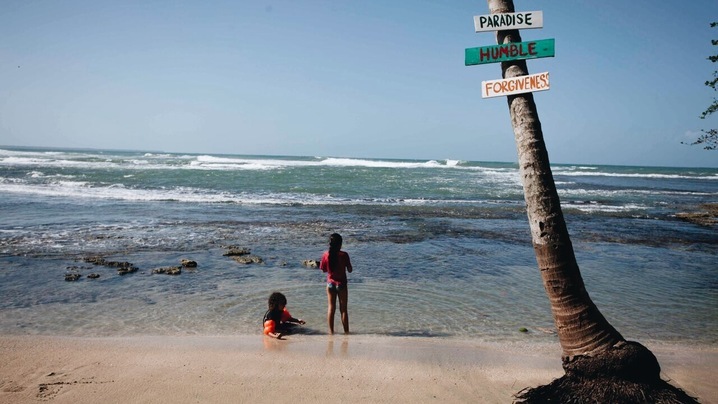 The architecture of Samasati’s Caribbean casitas were designed to silently sit within the terrain, climate and natural offerings of this land. We deliver comfort within an earthy simplicity. 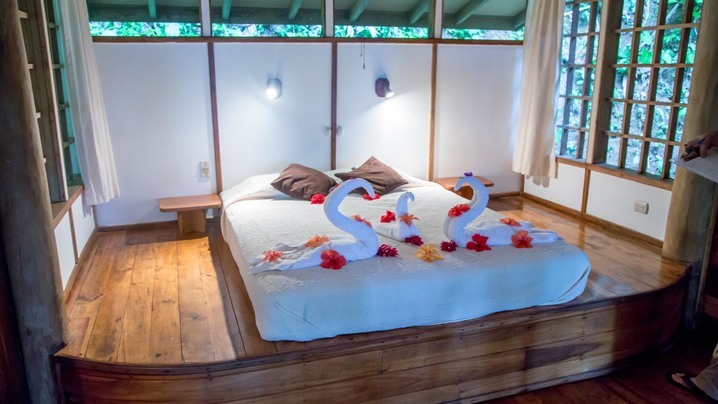 We have ten Caribbean style casitas built with precious native woods that are nestled within lovely tropical gardens and the lush forest. 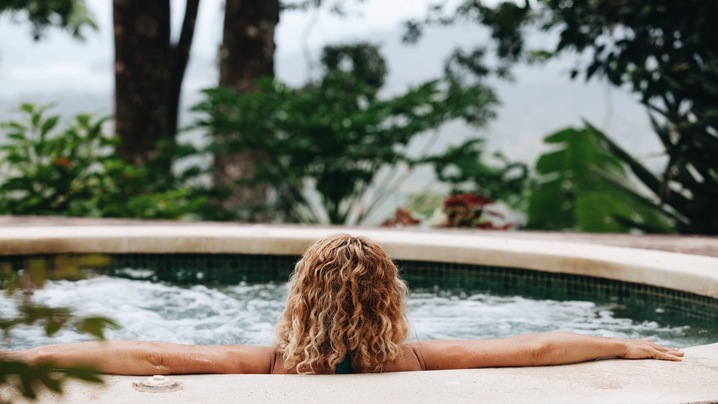 All casitas have private bathrooms and a spacious veranda overlooking the rainforest and South Caribbean Sea. Some casitas have lofts that accommodate up to three people. All of our casitas have comfortable new mattresses, which are king, queen, full or two singles. Our guest House bungalows are smaller private rooms with a choice of a full or two single beds. The bungalows are semi-private with each sharing a bathroom with one other room. 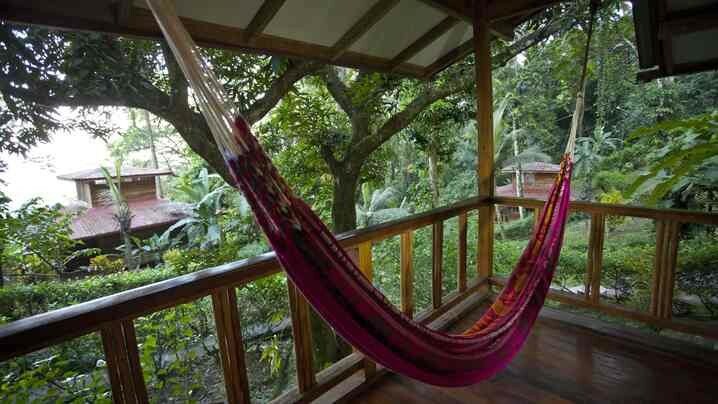 Outside, there are large verandas with hammocks overlooking the rainforest. Our spa house consists of two cozy rooms sitting high up on a hill. A cool breeze gently brings in just the right amount of fresh air during your treatment. This is a sweet space where our guests feel comfortable and nurtured. Everyone at the retreat was wonderful, attentive and devoted to our well being during our stay. Very professional all around. Bravo! 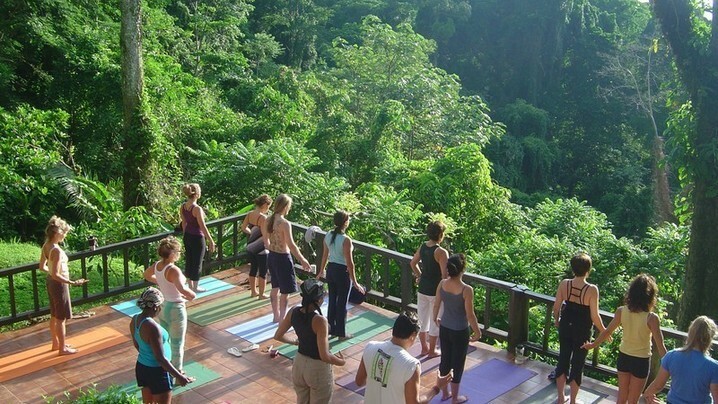 This trip was jam-packed full of activities offsite along with twice daily yoga in a great natural rainforest location. I found this trip physically challenging meaningful and rewarding. Wildlife was plentiful. This was an outstanding trip! The accommodations were fantastic, transportation spot on, and the food was fabulous. Oh, the other travelers were a blast too. I made a bunch of new friends. This was a rustic retreat. Met some great people. A wonderful resort in the middle of the rain forest. Nature is all around you, and the employees are wonderful. Samasati was amazing! 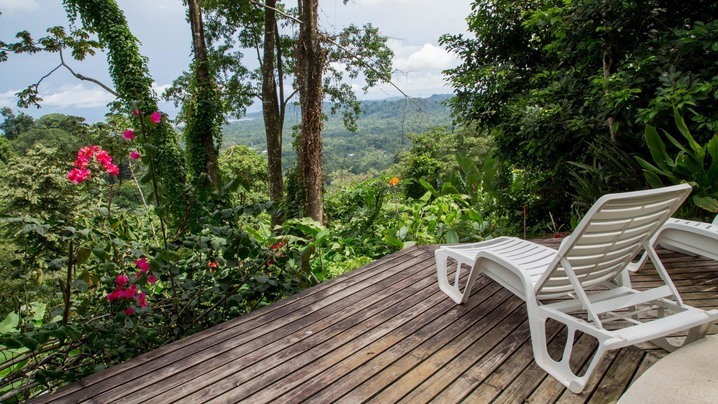 It's perfect for nature lovers, tucked away in Costa Rica's rainforest with a quick 10 minute ride to the beach. The drive from the airport is long ( 4 1/2 hours approx.) but the views are worth it. The staff at Samasati are so wonderful!